The already packed 2013 field for Lt. Governor of Virginia has just added a pretty high-profile name. As widely expected, former Obama senior staff member Aneesh Chopra formally announced plans to run for state’s number two elected spot. Though not a household name, Chopra brings impressive credentials with high-profile work at both the state and federal level. Chopra got into government by serving as then Gov. Tim Kaine‘s Secretary of Technology. His effort was impressive enough that after Barack Obama captured the White House, Kaine recommended Chopra for a similar role in Washington, D.C.. Chopra was the first U.S. Chief Technology Officer and held the role for roughly 2 and half years. His job was to help integrate technology into all U.S. policy decisions. It was the first time in American history that technology was given such an important role in the shaping of government decisions. Part of his effort was to make the government’s work more transparent by posting a wide range of the public’s work online. The position by its nature is not open to much controversy, but Chopra did find himself in some. He was forced to defend the Administration’s position on the controversial SOPA/PIPA legislation that was designed to reign in internet piracy issues. The Obama administration never formally endorsed the two pieces of legislation but did concede that internet piracy was a problem. They however were reluctant to get behind any policy that they felt inhibited free expression and innovation. Eventually the heated debate led to the legislation being killed and at this point there is no serious movement toward developing a cogent policy to combat internet piracy. That is no longer Chopra’s problem as he is squarely focused on being elected to Lt. Governor of Virginia. His impressive fund-raising effort in the 2nd quarter of this year has impressed some lefty bloggers and he is certainly connected to some high level Virginia democrats. His problem, as is often the problem with candidates for Lt. Governor, is that he lacks significant name recognition. While often called upon to be the public face of technology issues on the state and federal level, the scope of that publicity is pretty limited. He will face a tall challenge introducing himself to the Virginia electorate at large. To see more about Chopra, here is a look back at my interview with him right before he took the U.S. CTO position back in 2009. His full press release announcing his run can be found after the jump. Today on NBC12 First at 4, Rep. Debbie Wasserman Shultz joined me live to discuss the republican presidential primary and Virginia’s role in the general election. Among other things, Rep. Wasserman Shultz said that Virginia democrats should vote in today’s open republican primary, although she stopped short of saying who they should support. She also defended President Barack Obama‘s frequent visits to swing states including Virginia, as official White House visits, saying “the president is being the president.” Republicans have charged that the president is “campaigning on the taxpayer’s dime”. 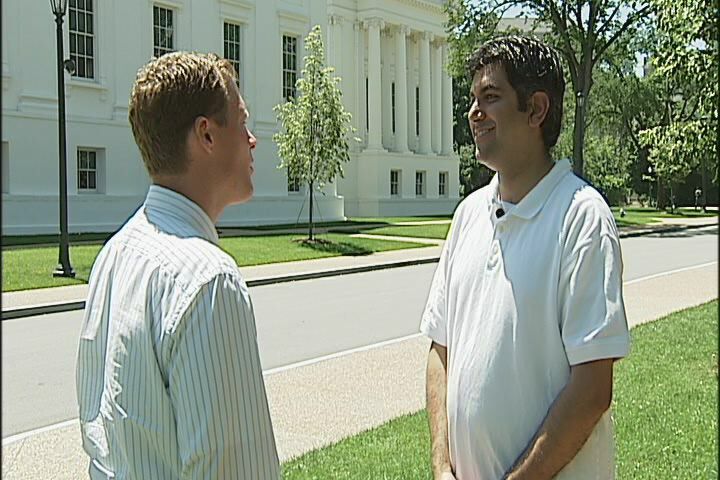 I also interviewed Virginia Victory Chairman Pete Snyder, a close ally of Gov. Bob McDonnell and a potential candidate for statewide office in the Commonwealth. He defended his party’s lack of candidates in the Virginia primary and argued that the heated battles during the nomination process will be long forgotten once a candidate is officially nominated. Terry McAuliffe joined the chorus of democratic leaders hammering the General Assembly’s action on social issues in 2012. It is something that many saw coming as soon as Ken Cuccinelli and Bill Bolling stood along side Bob McDonnell at the Republican convention of 2009. What would happen if both the Attorney General and Lt. Governor decided they wanted to be the next governor? That speculation is now a reality and earlier than anyone imagined that it could’ve come to be. RICHMOND (WWBT)- Attorney General Ken Cuccinelli is speaking out about what led to his decision to announce his plans to run for governor in 2013.Cuccinelli’s original plan was to wait until after the Virginia legislative session, but the Washington post got the jump on his plans. That meant he had to reveal his intentions, before he got a chance to talk to Lt. Governor Bill Bolling. Now, just short of two years before voters go to the polls to elect a new governor, a potentially difficult political storm is brewing. “The decision I was put to was, do we just try to put the genie back in the bottle or do we run with it?” said Cuccinelli. Cuccinelli was forced to make a move after the Post broke the story. 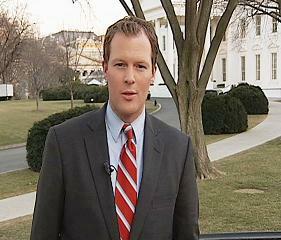 He reacted by informing his staff and then the press, but not his potential primary opponent, Lt. Governor Bolling. In an email to the staff of the Office of the Attorney General, Ken Cuccinelli confirmed reports that he will indeed run for governor. Cuccinelli promised the staff that he would serve until the last day of his current term and said that the AG’s position is the “best job of his life”. He also said that he would formally announce his intentions to the media shortly after they recieved the email. While Cuccinelli begins the process to mount a campaign for governor, the man who he hopes to replace is sticking with Lt. Governor Bill Bolling. Bob McDonnell‘s staff said today that while he has an incredible amount of respect for Cuccinelli, he will continue to support Bolling, who McDonnell brokered a deal with to avoid a primary in 2009. Bolling has remained firm in his plan to run for governor, meaning the scenario the GOP avoided in 2009 appears to be invetiable in 2013. You have likely heard in the media the many rumors about an announcement of a run for governor. While I wanted to wait to announce a candidacy until after the General Assembly session, as the rumors swirl, I find it necessary to put them to rest. After much prayer and consideration, I have decided to run for governor in 2013. I have always intended to let you know before the media. Shortly after you receive this email, I will be sending a statement to the media announcing my candidacy. 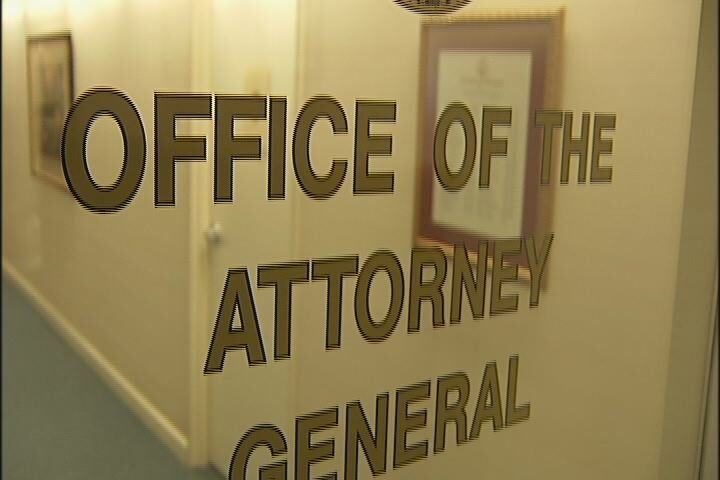 Being attorney general is the best job of my life, and working with so many bright and dedicated professionals in this office has made it a true joy. We have protected vulnerable citizens from fraud, worked to get gangs off the streets through intervention as well as prosecution, saved taxpayers from millions in Medicaid fraud, fought for fair utility prices for consumers, provided our clients with official legal opinions that have never been overruled by any court, and stood up to the federal government when it broke the law and infringed on the sovereignty of Virginia and the liberty of her people. We will continue this work together until the last day of my term. Just as I had intended not to resign as attorney general to run for a second term, I will not resign as attorney general to run for governor. The people of Virginia trusted me to be their attorney general, and I intend to give them their full four years. I also think it is important to see these lawsuits against the federal government all the way through, as they are unprecedented battles for liberty in our lifetimes. I am committed to you and to the citizens of this commonwealth to leading this office and making this job my priority. I have no right to ask the voters for a promotion if I cannot continue to do my current job well. I know many of you are wondering why I decided to run for governor instead of for re-election. As so many former attorneys general know from being legal counsel to every agency of state government, this job gives you tremendous insight and perspective on the inner workings of state government that no other job can provide. Being governor of the commonwealth and all its agencies is truly a massive task, and with only four years to do it, there is little time for on-the-job training. That is especially true when Virginia and the entire country are facing unprecedented economic challenges, a bullying federal government, and financially strapped citizens who are demanding that we ensure every dollar taken from their families to pay for government is a dollar that is spent wisely. When Governor McDonnell finishes his successful term, I am convinced his successor needs to hit the ground running to keep the momentum moving forward in the face of federal and economic challenges. I hope you have known me long enough to know that I do this out of my love for our commonwealth and to further the principles on which this country was founded. Although I originally expected to serve as attorney general for another term, my job is that of public servant, and I feel that two years from now, I can best serve the people of Virginia from the governor’s office. Thank you for your dedication to this office and to the people we serve. I look forward to our continued work together and our successes during the remaining two years of my term. Cuccinelli, a tea party hero who garnered national attention for suing the federal government over the new health-care law, expects to make a formal announcement after the legislative session in the spring, according to the sources, who spoke on the condition of anonymity so they could speak freely about his plans. 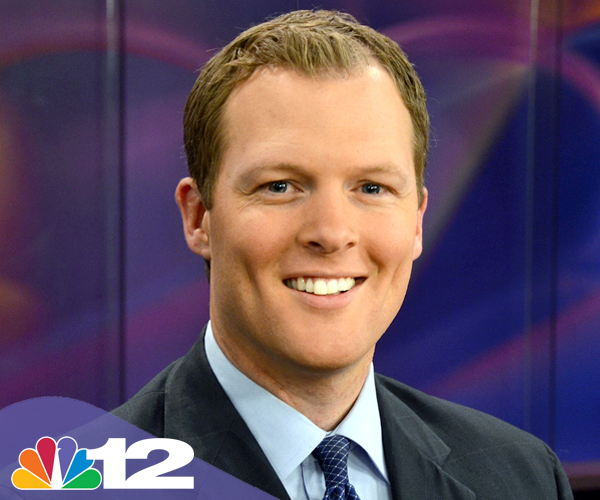 NBC12 has independently confirmed the Post’s story with sources close to the Attorney General. His political spokesman Noah Wall did not return inquiries for comment. Lt. Governor Bill Bolling, who stepped aside to allow then Attorney General Bob McDonnell to run for governor, has been planning a run in 2013 for some time. Tonight his aide, Randy Marcus said they have not heard anything about Cuccinelli’s plans but what he decides to do or not do, will not impact the Lt. Governor. “Obviously, we don’t know what Ken Cuccinelli’s intentions are. Lieutenant Governor Bolling has made clear that he intends to run for Governor in 2013 and we hope that Ken will be a part of our ticket. We think that would be best for the Republican Party. “In 2009 Bob McDonnell and Bill Bolling gave the Republican Party a blueprint for victory and it all started with Bill’s willingness to set aside his personal ambition and join with Bob McDonnell to form a united ticket. That worked well in 2009 and its the right approach in 2013.” – Randy Marcus, Aide to Lt. Gov. Bill Bolling.